There is a myth that agile projects do not need project managers. Darren Wilmshurst, a certified SAFe Programme Consultant, and Radtac’s Head of Consulting will talk through enterprise agile, the need for Project Management within an agile environment and how interim support can help you achieve best practice in project management while ensuring that you keep your projects agile. He will cover topics that maintain autonomy for teams and the value of agile while scaling into the organisation. With his strategic C-suite-oriented approach to IT leadership – and his infectious energy – Darren has successfully delivered multi-million business transformations for e-commerce sites, ERP implementations, outsourcing and off-shoring including multiple agile transformations. Appointed by a client to lead a business-critical work stream to review back-office processes, identifying £5m+ savings is just one high point. His big-picture business thinking is the result of sixteen years in retail banking and twelve years in the travel and transport industry, with a number of senior positions in world class organizations along the way. For all project centric organisations people are a crucial resource. However, for many of them, resource management & capacity planning remains a significant challenge. Planview has recently sponsored Appleseed Partners to conduct the 2014 Global Resource Management & Capacity Planning Benchmark Survey. The results of this study of 480 leaders from around the globe, responsible for project-based resources, illuminates the clear benefits of improving the maturity of their capacity planning and resource management efforts around people, processes and tools. This presentation looks at the evidence that the Resource Dilemma Is Solvable: What are Top 5 Characteristics of Organisations Solving the Resource/Capacity Puzzle? Steve Beaumont has worked in the Business Systems area for over 30 years. Beaumont spent 12 years working as a Business Systems Consultant for Deloitte, Coopers & Lybrand, and Ernst & Young, where he managed a team of consultants. Beaumont worked with a number of clients to improve and automate their business processes through the selection and implementation of new systems. Beaumont has spent a number of years working in the software industry helping to sell, implement and drive the enhancement of software solutions designed to help both PSOs and IT organisations to manage their businesses and deliver successful projects. How often do we find that a project does not deliver as expected, or if it does, it’s only as a result of increased cost and time? Is this because we’re not managing expectations, or producing accurate estimates? Or is it because we are not correctly defining and managing the requirements that are key to ensuring successful project delivery? Ensuring that we identify, analyse and prioritise requirements is part of any project lifecycle so why do we still encounter problems that relate to poor requirements identification and analysis, often persisting throughout the life of the project and into live operation? In this masterclass we look out how to undertake effective business analysis from inception through to implementation to ensure successful project delivery. Mike Page is Acando’s Head of Business Analysis, with over 20 years experience of developing effective and innovative solutions for complex business problems across the private, not for profit and public sectors. In addition to a number of business analysis and business consultancy roles, Mike also has extensive experience of working in programme and project management roles. Is it really possible to automate Governance when implementing a PPM system? One of the most important functions of Project Portfolio Management (PPM) is that it gives better control of projects—and more warning when a project starts to go awry. So should this very important function be automated? It’s an interesting question and one to which tool vendors would no doubt say “Yes, use workflow”. Automation would imply the decision is either 100% predictable based on business rules or requires individual sign off. Automation is ideal to get the expense claim or leave request approved, but can it be used for more complex decisions like project stage gates or key project document approvals? Governance is very much about the “should we” decisions, these are not simple decisions, and they involve people, strategy and numerous intangibles. Guy Jelley will discuss whether it’s really possible to do this and provide some insights on how this can be achieved successfully and what practices have been positive for organisations who have automated project governance. Guy Jelley is one of the founders of project portfolio management (PPM) and collaboration solution provider, Project Portfolio Office, and is the company’s CEO. Project Portfolio Office was established in 2000, with the sole aim of developing a cost effective, easy to use and simple to implement PPM system and providing it to the local market. Having successfully implemented the Project Portfolio Office (PPO) solution for its first client in late 2004, Project Portfolio Office is now being used by over 35,000 projects internationally. With offices in Europe and South Africa, Project Portfolio Office continually improves the solution, providing support to existing clients across the globe, marketing the PPO brand and managing its partner programme. Prior to starting up Project Portfolio Office, Guy completed his articles at KPMG and went on to manage a large number of complex financial and IT projects at large corporates such as Deloitte, UTi, Kimberly Clark, PricewaterhouseCoopers, SABMiller, Europcar, Scandinavian Airlines and British Telecommunications (BT). • How can we identify a baseline and assess against that? • How can we use that assessment to improve the efficiency of our training? • How can we continually improve our staff? A core competency framework will enable you to identify the skills and behaviours you need to do your job to the highest standard and, if you are a manager, how you can support people in your teams to do this. Indeed, as an integral part of a performance management system a well-defined and executed framework should accelerate career development and improve the quality of delivery. 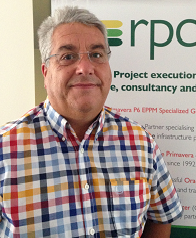 Ray Mead MBA MOP PMP has been involved in project management for over 12 years. He has a strong background in telecommunications and IT, but has managed multinational projects in multiple industries. Ray has also served as an elected Councillor for the City of Southampton. Ray has since been closely involved in the development and deployment of project, programme and portfolio management methodologies and capabilities, delivering successful PMOs as well as project skills education through training, coaching and mentoring. His areas of specialisation are achieving corporate strategy through a portfolio, programme and project-centred approach and the importance of people in projects. Ray has worked extensively in China, Australia, the Middle East and Europe and his informal but authoritative style of ‘inclusive facilitation’ transcends both national and corporate cultures. Beyond their role as a tool to assess new ideas, business cases can play an important part in helping your manage your project portfolio or programs more easily and effectively. Using customer case studies, this talk will show how integrating business cases in your portfolio management methods will strengthen your budget management and help you achieve your strategic objectives in a more efficient manner. It’s a happy moment bringing your PMO into this world but once it’s set up it needs to grow up quick. It needs to fit in, deliver quickly on promises made, bring consistency, control and support to your projects with the minimum of fuss and overcome the likely objections that will exist in some pockets of the organisation. That is pretty difficult but then you have to deal with expectations of improvements of leading new ways of working, best practices and moving the organisation forward in the way it selects controls and delivers its projects. This session will look at some of the issues commonly accounted when setting up PMOs in low maturity organisations and how PROJECT in a box can help address them. Theory and process mapping is undoubtedly important but adapting it to the environment is the key to success. Mark Sutton, Project Manager for Sepura (leading manufacturer of digital mobile radio products) describes how they implemented the PMO in 2009 and the necessity to re-visit that implementation in light of the challenges facing their business. Imagine canoeing upstream with a broken paddle. That’s effectively what today’s project managers and IT directors, like you, are doing. It’s not that project managers lack the skills to manage projects. It is the speed and sheer complexity of the business that is breaking traditional project management processes. Heightened competition, rapid advances in technology, and global economy have organizations operating at a dizzying pace.Fortunately there are some things you can do to successfully manage projects in this rapidly changing environment. Whichever enterprise team you work on, manual processes, disconnected tools, numerous methodologies, and scattered stakeholders have most likely left you scrambling to control projects and deliver successful business solutions. This seminar will highlight practical solutions and innovative best practices to repair enterprise project management. 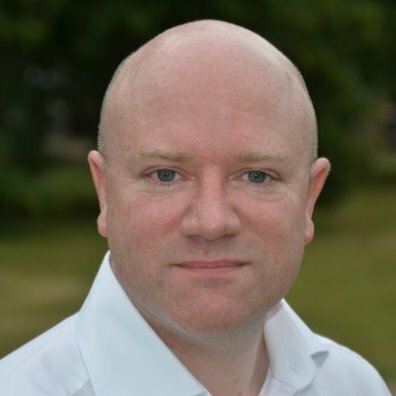 An IT veteran of over 15 years, Simon is a specialist in cloud based information and work management, he has held senior technical positions at Autonomy, IBM, Intralinks and Verity. Simon has a successful track record of building business and has helped 4 companies be privately acquired and taken a fifth to IPO. Assurance is a necessary part of P3M. Mature project-based organisations recognise that, and have robust assurance mechanisms in place. However, even the most mature organisations can struggle with knowing how to arrange assurance such that it doesn’t become an onerous burden to their projects, and perversely become a significant risk to them. Roy will be describing a structure approach to integrating assurance. That isn’t just coordinating it. It is developing an approach in which assurance providers work together and share information; where stakeholders can get a complete and joined-up assurance picture; where inefficient overlaps and ineffective gaps are eliminated. Roy is responsible for the planning and delivery of internal audits of all commercial activities within Transport for London. 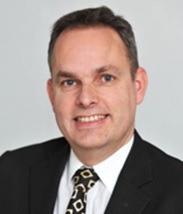 He joined TfL Internal Audit in September 2002, has 30 years of experience of engineering projects in PPP, PFI, partnering, joint venture, consortia and conventional contracting environments, as project engineer, risk manager, project manager and internal audit manager. 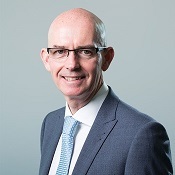 In particular, he had lead roles within Racal on major defence projects such Bowman and IRIS, and as a senior manager within Thales on the Connect project for London Underground. He has an Honours degree and a post-graduate Diploma in Management Studies; is a Fellow of the APM and a full member of the Institution of Engineering and Technology; is Chairman of the APM Audit Committee; and is the founder and Chairman of the APM Assurance Specific Interest Group. How can Agile BI support the PMO? As businesses are increasingly adopting data driven culture for decision making, how can PMO gain maximum benefits from BI and analytics? What are the challenges for PMO to use BI & How can agile BI solution delivers result? Making a case for Agile BI for PMO is easy – we will show you how. Yuwan Effendi is project director of Anderson Yates, a consultancy assisting clients to implement solutions driving business performance and growth. Our team specialises in delivering CRM, ERP and Agile BI solutions. Over the last 15 years, Yuwan has worked with Professional Services, Engineering, Technology, Retail and non-profit organisations to streamline operations and improve profitability. Cegedim Analytics is a division of Cegedim Group – a $1.5bn turnover Innovative IT Solution company with over 20,000 clients in 86 countries. Reportive is the Agile and adaptive BI platform used in the Group product portfolio. Designed for business users, this easy to use BI platform provides data integration and connectivity to multiple sources of data including Excel, Text, SQL Server, MS Analysis Server, SAP, Oracle, IBM, Hyperion. Using drag & drop noCoding functionality, users can perform ETL to provide data for static and dynamic reporting and dashboards. These reports & Dashboards can be scheduled for delivery at required intervals. Using Reportive, PMO can reap the benefits of automated reporting in weeks rather than months. Agile Programme Management aims to tackle the challenges of successfully delivering large, complex programmes where the focus is on vision led transformational change. This seminar will explore how to overcome the challenges of applying an Agile approach to such change initiatives, together with the implications for people centred change management. Chris will bring together the principles of Agile, MSP and Change Management and explore the culture needed to bring about effective change programmes. Anyone wishing to understand how to deliver complex change swiftly and effectively will find this session offers valuable and practical advice for running successful programmes with an Agile, people-centred focus. It illustrates the disconnect between human resources and executive leadership, offers an example of an organisation that does it well and direction on where organisations can improve. Finally, it provides clear direction on what organisations can do to improve their talent strategy to increase their project and program success rates. Beth Partleton, from Milwaukee, Wisconsin, served on the PMI Board of Directors from 2008 to 2013. She was elected Vice Chair In 2010 and Chair in 2011. For six years she served on the PMI Educational Foundation Board of Directors, serving as Chair in 2006. She has been involved with PMI since 1991. Currently she is a member of the Certification Governance Council and chairs their Strategic Planning Committee. 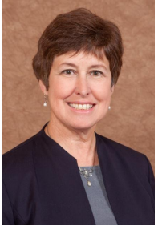 Among her numerous credits, Ms. Partleton was the project manager for the 1997 PMI Symposium in Chicago and has spent time on various PMI committees, including two years on the PMI Nominating Committee, and one year on the Ethics Appeal Committee. In addition, Ms. Partleton was a founder and charter member of the Milwaukee/Southeast Wisconsin (USA) Chapter, and served its first president in 2000. She also served three years on the Board of Directors for the Manufacturing Specific Interest Group (SIG). For her dedication to PMI, Ms. Partleton received the PMI Distinguished Contribution Award in 1998. Ms. Partleton is an experienced consultant who provides project and portfolio management to leading organizations. Companies benefit from her 30 year career with Miller Brewing Company, where she served as the Director of Capital and Risk Management, responsible for portfolio management of capital projects at all Miller breweries in the United States. Ms. Partleton was also responsible for the project management of major capital projects. During her career with Miller, she also served as head of the project management office, senior project manager, and the functional manager of architectural and civil engineering. Ms. Partleton holds a Master of Project Management degree from Keller Graduate School of Management and a Master of Architecture from University of Wisconsin, Milwaukee. She is a registered architect in the State of Wisconsin and has been a certified Project Management Professional (PMP)® since 1991. Mike will describe clients who have adopted an outcome-driven heat-map approach to programmes and projects, which allows them to manage the amount of change underway at any time and to balance their priorities and resources effectively. 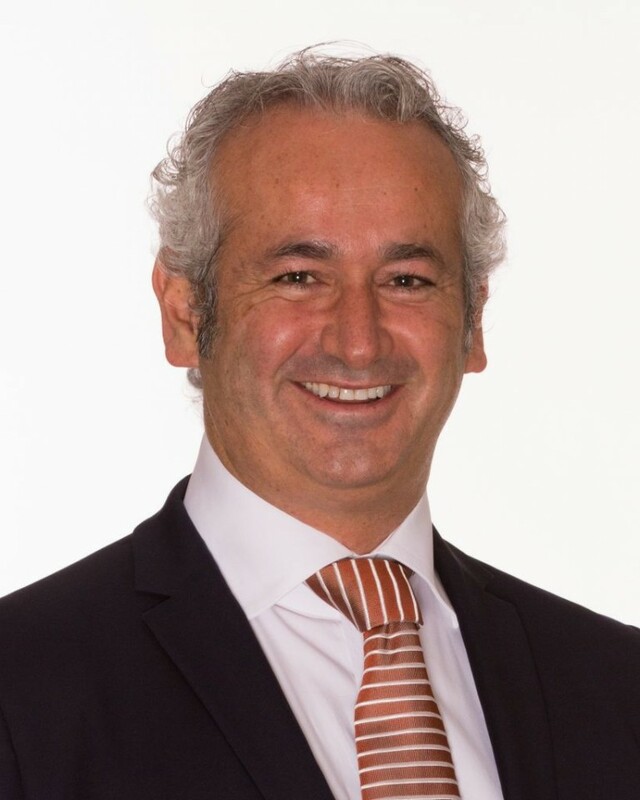 Mike is a Principal Consultant at Bestoutcome where he specialises in business change, focusing on helping organisations achieve lasting performance improvements in their business operations. During the last twenty five years Mike has helped over fifty clients implement pragmatic, sustainable improvements driven by technology, people and/or process change, including risk management, stakeholder engagement, programme governance and systems delivery processes, tools and standards. 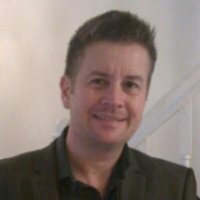 Before joining Bestoutcome, he was an independent consultant working across a variety of different sectors including finance, retail, and utilities, and his client experience takes in blue chip companies such as Alcatel, BAA, Boots, BP, John Lewis, M&S, Nationwide, NHS, Severn Trent Water, and the United Nations. Does culture eat process for breakfast? Organisations which are going through change processes, whether brought about because of downsizing or because of a lean initiative, will often concentrate on their internal processes and forget one of the biggest challenges to a change initiative – culture. Cath will take a case study approach on a large public sector transformational project. She will explain why transformation stuttered and was not as successful as it was first hoped. This was despite a good business case and a huge amount of work. Yes we have all been through change. But few implement a Change project well. 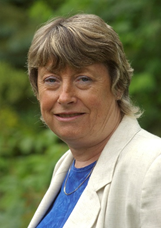 Cath has worked in training design and delivery and learning and development consultancy and research for nearly 30 years. She now owns a successful Learning and Development Company in Oxfordshire. Join her to think through the challenge of culture v process. Key challenges for project management are gaining agreement and facilitating activities towards clear end goals amid ever-increasing complexity. Coaching gives us a tool for focusing the project organisation, whilst working with individuals, groups and /or teams. It is a recognised and well used approach for people development in wider industry and its use is gaining ground in the Project Environment as a means to improve performance. We look at the use of coaching in the project community today and its potential for you and your organisation. Eleri has over 20 years of international experience in Change, Project and Service Delivery gained in global system integration organisations delivering into local and central government, financial service and telco markets. This experience has been woven together with experience in people development through coaching, mentoring, behavioural change and change leadership. Her experience is supported by an MBA in Project Management from Henley Management College and a Postgraduate Certificate in Advanced Executive Coaching, recognised by the University of the West of England and an ILM Level 7 certificate in Executive Coaching and Leadership Mentoring. Tim Lyons has worked as a professional project manager for over thirty years in a number of different countries. After university, he started work as an electronics engineer in the field of radio broadcasting and worked his way through various roles culminating as Chief Engineer. From there he took the plunge into the emerging profession of generic project management, working in the UK, Europe and the USA setting up project teams for clients. He was an integral part of the team that produced MicroPlanner X-Pert, the first heavy-duty planning tool for the Apple Macintosh and Windows. More recently Tim carried out research into the decision making strategies of professional project managers as part of a Masters degree in coaching and neurolinguistics. He works as a freelance coach and mentor within the project environment and as a jobbing project manager helping to deliver the Crossrail project and is therefore a provider and a consumer of coaching skills within the project environment. Don’t miss Paul Bradley’s presentation “PRINCE2 – One Page”, where you will be taken through a full PRINCE2 Overview in 40 minutes! Seven Principles, Seven Processes, Seven Themes. All 21 elements covered in 40 minutes – plus explanations of how they all work together in a PRINCE2 environment. Great project managers are brilliant change managers too! Managing change is increasingly recognised as an important skill set within project and programme management. How can we realise the benefits from our projects if we don’t understand the psychology of change, and how to lead people from resistance to adoption? Melanie will outline some of the drivers for the greater demand for change management skills and outline the steps you can take to build your skills in this important area. She will explain what effective change managers do and give lots of examples of how these activities form part of the project lifecycle. Melanie Franklin is the co-chair of the Change Management Institute UK, and has been delivering successful change initiatives for over twenty years. She has an impressive pedigree formed through academic research and practical consulting and is acknowledged as a thought leader in Change Management. She was awarded Accredited Change Manager status by the Change Management Institute in 2013 and her 8th book called Agile Change Management was published by Kogan Page in 2014. She is currently overseeing two major transformations, one impacting 34.000 staff and another that has impacted 5,000 staff across 29 countries. Melanie is a talented communicator and has a reputation for delivering complex information with humour and passion. She draws on her wealth of practical experience to illustrate concepts and to engage her audience in lively debates on advantages and disadvantages of each approach that she outlines. Change Management Communities of Practice (CMCoP) – what’s in it for you? The session – co-hosted by Bakr Zade & Bernard Murray-Gates, principal consultants with CITI Limited, expert practitioners in Change Management – will cover. value without being a bottleneck? Organisations need a pragmatic structured approach that can take you from enigma to euphoria and we will show you how. The session will be bumper packed with insights, ideas and practical tips on what you can be doing to manage your own project management career better. 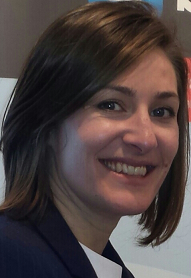 Lindsay Scott is a Director at Arras People, the project management recruitment and careers specialist. She’s been working with organisations and practitioners for over 12 years in all aspects of project management careers. She’s been PMI’s PM Network Career Columnist for over four years and recently co-edited the Handbook of People in Project Management from Gower. She also runs the PMO networking group – PMO Flashmob which is specifically focused on people with careers within PMO. Simply put, she loves the subjects of project management and careers. Will agile kill project management? Agile is often easy to understand but difficult to implement, hard to master and mind boggling when trying to scale! This is because many organisations start implementing Agile in a cultural context that is mostly non-Agile. This typically creates significant number of tensions and frictions that the teams adopting agile have to deal with, more than not with project management and other key organisational structures. 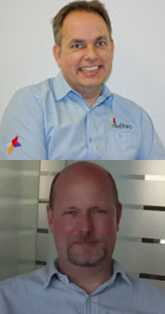 Darren and Pete will discuss why implement Agile, scaling from single team to multiple teams and some less obvious deep seated challenges to change in all organisations. 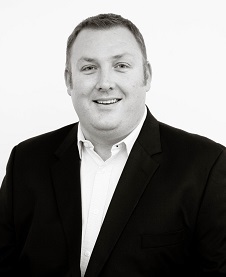 Darren Wilmshurst has a background in commercial management, being an Associate of the Chartered Institute of Bankers following sixteen years in Retail Banking. This culminated as a Senior Personal Banking Manager within the Guildford Group of Branches, which was comprised of 9 branches and 140 staff. A career change into IT in the late 1990s has led to a number of senior IT positions with world-class organisations in the travel and transport industry. With his strategic C-suite-oriented approach to IT leadership – and his infectious energy – Darren has successfully delivered multi-million business transformations for e-commerce sites, ERP implementations, outsourcing and off-shoring including multiple agile transformations. He is also a Chartered IT Professional. More recently he is now a Director of Radtac, a Global Agile Consultancy Business based in London. In addition he is DSDM Atern Agile PM Practitioner, APMG Facilitation Practitioner, PRINCE2 Agile Practitioner, Certified Scrum Master, Kanban Practitioner and SAFe Program Consultant. Peter Measey is a Director and co-Founder of RADTAC which includes Consulting, Training and Talent Skills, to provide ‘Everything Agile’. Peter has managed and contributed to the implementation of some of the largest Agile Project and Delivery Management transformations in the UK and worldwide. He also works worldwide providing agile coaching and training and has solid experience of enabling agile within different cultures having worked in the United States, China, India and across Europe. Peter has over 27 years’ experience in Information Technology and Process / Business Change across all traditional and contemporary project delivery and management methods, and is an expert in their successful introduction, implementation and integration. Peter has been specialising in Agile since 1994, and is a Certified Scrum Trainer, Certified DSDM Trainer, APLN Practitioner and Prince2 Practitioner. Peter has significant experience as a Project and Programme Manager, Consultant, Facilitator, Trainer and Coach within the Public and Private Sectors, he is the Author of many agile White Papers and has presented at many conferences and events (Unicom, Project Challenge, Agile Business Conference, DSDM Atern Launch etc) – on subjects ranging from specific agile methods to how to ensure successful Agile transformation. 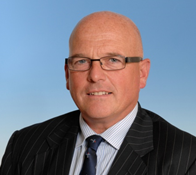 Peter has worked with numerous clients in many sectors, including Household names such as Nokia, NHS (UK National Health Service), HM Customs and Excise, British Telecom, Rolls Royce, Fidelity Investments and British Airways. Over commitment, under utilisation and a lack of resource prioritisation are symptoms at companies where there is little transparency into what resources are working on, what available capacity there is, and what is the complete demand pipeline. This causes risk, frustration and poor strategic alignment. In a time of constant change, the conundrum is how to reconcile capacity and demand to execute on strategic initiatives and grow the business. What actions can you take to solve the conundrum? Steve Beaumont has worked in the Business Systems area for over 30 years. Beaumont spent 12 years working as a Business Systems Consultant for Deloitte, Coopers & Lybrand, and Ernst & Young, where he managed a team of consultants. Beaumont worked with a number of clients to improve and automate their business processes through the selection and implementation of new systems. Beaumont has spent a number of years working in the software industry helping to sell, implement and drive the enhancement of software solutions designed to help both PSOs and IT organisations to manage their businesses and deliver successful projects. Beaumont’s career started as a Management Accountant, from which he progressed into designing and implementing the accounting software for use within the telecom company that he worked for. Ninth Wave has extensive expertise in supporting project portfolio management. We find that introducing agile management techniques alongside traditional waterfall based planning is becoming increasingly important for many of our customers. In this session, we’ll describe and explain some of the issues in managing a mix of waterfall projects, fully Agile projects and projects following a hybrid agile/ waterfall approach, all within the same project portfolio. We’ll share Ninth Wave’s ideas and experience in this area and show some of the tools and techniques that we use to support project portfolio management with these different project approaches. 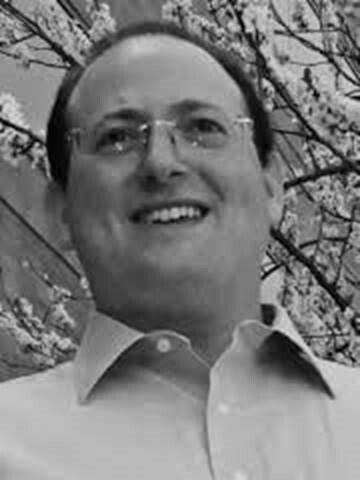 Jon is a director of Ninth Wave, a UK-based PPM software and consulting firm. At Ninth Wave, Jon has implemented programme, project and resource management systems for customers in the aerospace & defence, financial services, media, telecoms and public sectors. Prior to Ninth Wave Jon worked for KPMG Consulting. He is a Chartered Engineer and Member of the BCS and IET. Project execution is becoming more complex than ever. Specialized departmental tools, technology and processes are increasingly sophisticated. Meanwhile the need for cross-functional collaboration has never been greater. How do you survive, let alone thrive, in this environment? Join this session to hear how Sodexo and other enterprise companies have addressed the project and collaboration complexity issue. How can the PMO & Change Practitioner of today use new approaches to address the digital transformation dilemma? According to the 2014 PMI Pulse report, organisational change continues to be a challenge for the vast majority of businesses. As business leaders embark on Enterprise and systems transformation the pressure for these projects to succeed and for investments to show a positive ROI increases year on year. With 70% of major change implementations yielding sub-optimized results and the average time taken to develop mature business capabilities exceeding 5+ years, how can the transformational PMO & Change Practitioner of today deliver a successful program on a finite budget in an ever more complex information & collaboration landscape? This presentation offers insights on the challenges faced and how they can be addressed using a lightweight toolset based on SharePoint to help the practitioner make informed and auditable assessments that can steer programs towards successful outcomes both during an active project or even before the project commences. The ability for the PMO to automatically create an Enterprise view of the status of all change projects and to uniquely configure and measure the impact on Enterprise maturity post project close out will be discussed. Nick has spent 20 years in the technology sector in Europe, USA & Africa. He has predominantly worked in senior consulting and business management positions in both corporate, Government, consulting & start-up environments. The main focus of his career has been complex technology based projects that support local, regional & global collaboration. Nick has worked with a diverse range of collaboration technologies including; IBM Rational, Systems Engineering Collaboration Platforms, Mega Project Engineering Assurance and more recently Microsoft SharePoint. Nick has achieved significant success supporting clients embarking on major capability change programs using maturity based approaches in Government, Mobile, Defense, Security & Aerospace, EPCM, Rail, Mining & Energy. Clients have included; Airbus, BAE Systems, T Mobile, Vodafone, CrossRail, Sasol, Woolworths & Western Cape Government. Nick started life as a Chartered Chemist & Project Manager for UK MoD and holds a PhD in Analytical Science & Statistical Modeling. He is co-founder and Managing Partner of Complexus Pty Ltd (a Bestoutcome partner) and a Certified PRINCE2 Practitioner. Based on Benchmarks that have been conducted by scholars such as Dr. Cooper and Dr. Michael Menke, this session will present a selection of key practices that the best performing companies employs to boost their portfolios. In addition, each best practice will be illustrated through a live use case featuring the screens supporting the process, key metrics and indicators that needs to be monitored as well as anecdotes from the field. What change activities should I include in my project plan? To ensure our projects realise their benefits we have to take responsibility for the development of project deliverables and their implementation and adoption by users. In this practical session, Melanie uses her extensive experience of change management to identify the key change activities to include in project plans. She will highlight those activities that engage users and those that reduce resistance and build support for the changes brought about by projects. Melanie Franklin is the co-chair of the Change Management Institute UK, and has been delivering successful change initiatives for over twenty years, initially as a project manager then as a programme manager before taking on senior change management roles. She has seen the evolution of the project management role to include ever increasing responsibility for implementing change and realising benefits. Melanie has a passion for transferring her knowledge and experience and is a lively and engaging speaker. Melanie acknowledged as a thought leader in Change Management, with an extensive client list as well as authoring a number of books on the subject. She was awarded Accredited Change Manager status by the Change Management Institute in 2013 and her 8th book called Agile Change Management was published by Kogan Page in 2014. She is currently overseeing two major transformations, one impacting 34.000 staff and another that has impacted 5,000 staff across 29 countries. In this session we take a look at how previous PMOs and organisations have successfully designed, implemented and deployed their automation tools and share insights into how your own PMO can get ready for your own high profile change. Successful PMO tool implementations combine people, processes and tools and in this session, based on real case studies, we share insights from organisations across different industry sectors, highlighting their challenges and how they overcame them to ensure all three factors were in sync. The session will cover how to manage a PMO tool implementation as a project, starting with a vision, the business case, requirements capture, change management, planning the implementation and deployment. Do you struggle with managing change requests and action items? Do your meetings lack a clear objective or structured agenda, resulting in ineffective meeting minutes? With no industry standard methodologies, the change management process within a PMO can be labor and time intensive. Take a better approach; optimize time and resources by implementing a meeting management solution. This session will discuss the problems and solutions that surround the change management process within a PMO. Scott Sax is the Associate Director of the Project Management Office in Technology Services at Loyola University Maryland. Scott has been part of Loyola since 2004, first as a contractor and then a full time employee. He is a certified Project Manager Professional (PMP) and a certified Risk Management Professional (PMI-RMP) through the Project Management Institute, and is certified in ITIL v3 Foundations. A longtime member of PMI and the local PMI Baltimore chapter, Scott has experience in all five of the project management process groups, with specialization in Risk Management, Communications Management, and Team Motivation. 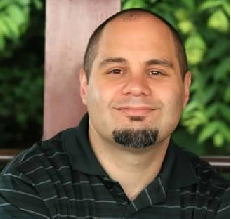 In addition to project management, Scott is a very talented and creative Web designer, developer, and graphic artist. Being a good mix of left brain and right brain, he has a unique ability to think outside the box and come up with creative, non-traditional solutions to the many problems we face in technology. Scott holds an Executive MBA from Loyola University Maryland, a Bachelor’s Degree in English Writing and History from the University of Pittsburgh, and an Associate’s Degree in Specialized Technology in Computer Animation from the Art Institute in Philadelphia. For more information about Scott, please check out his linked in profile at http://www.linkedin.com/in/saxy46 . To learn more about Technology Services at Loyola University Maryland, go to http://www.loyola.edu/ots . Join Workfront as we explore how the world of work is changing. How our day-to-day at the office – or wherever we’ll be working – will change over the next 5-7 years. This presentation will highlight 3 trends that we’re seeing in the market and among our clients. 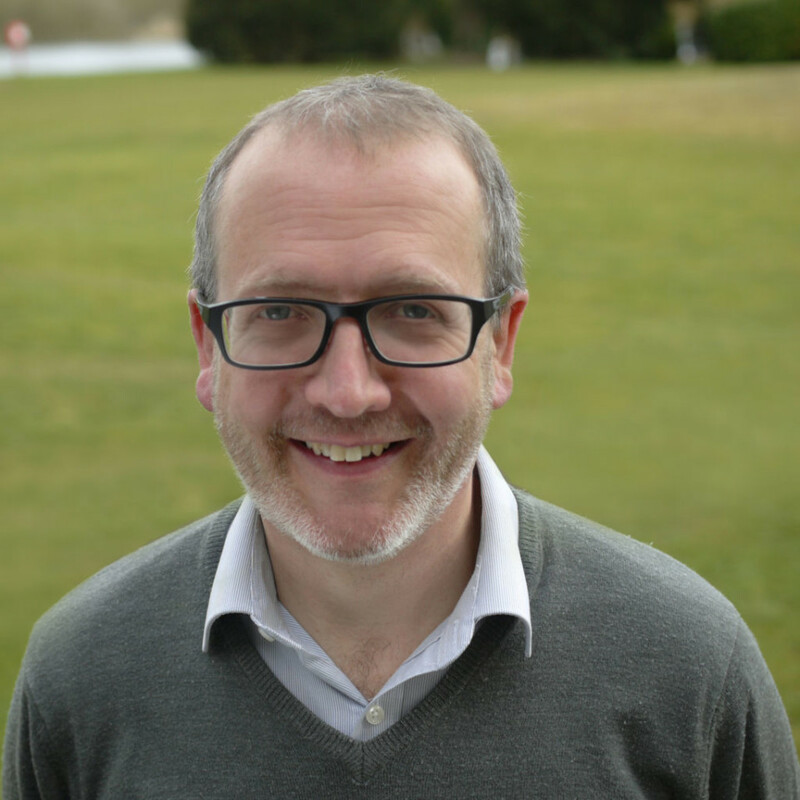 An IT veteran of over 15 years, Simon is a specialist in cloud based information and work management, he has held senior technical positions at Autonomy, IBM, Intralinks and Verity. Simon has a successful track record of building business and has helped 4 companies be privately acquired and taken a fifth to IPO. The NHS is being asked to change, dramatically, the way it manages the delivery of its services, while at the same time needing to continue providing the existing services to an ever-more demanding set of patients and governing bodies. This means being accountable, visibly, to the stakeholder communities by demonstrating the progress that is being made towards achieving the desired change outcomes. Which in turn means ensuring that good quality, accurate, consistent and up-to-date information is available at all times. Something which is simple to say, but not necessarily simple to achieve. In this talk Mike Pryor, Principal Consultant at Bestoutcome, will describe a number of NHS clients who have established PMOs to support the delivery of their change programmes, and will explain how this has given them visibility across the entire portfolio of work allowing them to focus on providing top-quality information and services to their Executives and Governing bodies as they strive to achieve the required performance targets, savings and desired outcomes. Bestoutcome was founded in 2000 and specialises in providing portfolio, programme and project management, services and products to a distinguished set of blue-chip clients. Our flagship PPM solution PM3 is used extensively in the NHS, Retail and Hospitality sectors. Being practitioners means we can talk to our your project and programme sponsors and delivery teams from a position of experience and knowledge, to help ensure they achieve successful outcomes. James Butler, Senior Consultant, Program Framework will introduce this excellent resource management tool. It doesn’t matter what sector you work in, every company strives for effective resource management. Using available resources in the most efficient way possible is of prime importance. Most organisations we talk to struggle with the challenges of matching their available resources to the demands of current and future projects. The solution assembles all of your PPM data into a virtual reality where projects can be stretched, moved, expanded, contracted or re-juggled. The tool will keep a full history of any changes you make and let you undo them at will. You can take snapshots of your model, alter its setup and then review your simulations using powerful reports and dashboards. On top of it all, Tempus Resource includes an optimisation engine that can run millions of simulations to provide you with recommendations. James Butler MBA has over 15 years’ experience working in the areas of performance management, organisational change, delivery and process management across multiple sectors. In these roles James has lead significant business turnarounds, managed change and delivery programmes and supported the creation of new capabilities and processes. How should we adapt our approach to developing our project professionals? Steve has over 30 years of experience in training and development that has spanned military, private sector and public sector environments. His work in project management has been at project, programme and portfolio management level and he currently works as senior consultant and trainer on the ‘Living Learning Programmes’ delivered by QA. He reflects on the best and the worst of the learning and development he has been involved in over that 30 year period and the insight that it may give into how project management training has evolved and where it might be heading in the future. Projects and Programmes are becoming far more complicated and demanding, technology that we use to train project managers and use to deliver projects is improving all of the time and the potential career paths for a young project manager today is very different from the one those that would have been available 30 years ago. So how should we adapt our approach to developing our project professionals? Steve’s experiences in the management of projects and programmes have included military construction tasks, major organisational change & development projects, introduction of new IT systems and training projects. During his time as the ‘Head of Programme and Planning’ for the Parliamentary Estates Directorate, he managed specialist teams which included those responsible the management of the Parliamentary Estates Portfolio, including the Palace of Westminster. He also has experience in the management of the ‘Corporate Property Strategy Programme’ for a market-leading financial services corporation. Prior to this, Steve had been a military engineer officer and had been responsible for co-ordinating portfolios of military engineer projects in peace-time and on operational situations, including the set-up of the operations centre for co-ordination of NATO military engineer activities in Bosnia. He retired from the military at the rank of major, having commanded the reserve forces Commando Engineer unit. 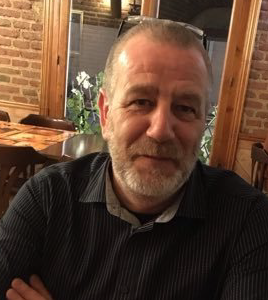 Steve now works for QA Ltd as a senior consultant and learning programme manager, working on the development of future learning programmes for a number of corporate clients and delivering work-based ‘Living Learning Programmes’ to a wide variety of organisations. Over the last 15 Years IT & Telecoms companies have been working really hard to transform from selling boxes to selling solutions. This has been a massively difficult transition as leaders quickly found that the skills required to be successful are completely different to what they have. What customers now want are small incremental engagements that demonstrate value and are business outcome based. The challenge is, the skills we have today are not fit for purpose. Technical expertise alone is no longer enough. The skills required for the engagement of tomorrow need to be more rounded. In this session find out the hidden secrets that will leverage your value and further your career. Gary got involved in the people business the hard way; at the tender age of 14 he started an organisation organising national events to raise money for Cancer Research. If you think you have trouble with your teams, try to persuade over 40 volunteers, who have just discovered a social life, to work hard and deliver… without being paid! By the age of 16, Gary and his team had raised over £150k for charity and had organised over 30 events, including a record attempt for the largest Jazz band to play in one place and the round London bike ride, which is still going today sponsored by a key London Radio Station. Always looking for the path of most resistance Gary was ready for the corporate world and has since developed a fantastic reputation as a leader throughout Europe. With over 25 years experience in International Leadership Gary is a highly skilled global industry professional. He has helped numerous organisations and their teams with extensive Facilitation, Training, Development and Coaching expertise from a variety of different countries and cultures. His particular specialism’s include Facilitation, Remote Team Leadership, International Management, Motivation, Inspiration and Direction, Stakeholder Management and Cross Functional harmony, and working with technical communities to help make them more rounded. Gary has the most extraordinary thirst for knowledge both from a technical and people point of view resulting in very well informed views and behaviour. Working with Gary is a master-class in contemporary management and human behaviour thinking and we defy anyone to meet with him and not depart with at least one new insight. Through portfolio management, organizations maintain alignment between their investments and their business strategy. This presentation provides insight into the critical importance of developing a centralized management of a project portfolio to meet organizational goals and objectives. It will illustrate how portfolio management maturity correlates to organizational success and how high-maturity organizations have developed core competencies around specific portfolio management practices. You will also hear how leading organizations establish and benefit from strong portfolio management. Finally, you will understand that portfolio management provides the crucial link—or glue—between strategic intent and the initiatives that deliver strategy. Ninth Wave has extensive expertise in supporting project portfolio management. We find that introducing agile management techniques alongside traditional waterfall based planning is becoming increasingly important for many of our customers. In this session, we’ll describe and explain some of the issues in managing a mix of waterfall projects, fully Agile projects and projects following a hybrid agile/ waterfall approach, all within the same project portfolio. We’ll share Ninth Wave’s ideas and experience in this area and show some of the tools and techniques that we use to support project portfolio management with these different project approaches. Role confusion is everywhere. There is a lot of cross over between the responsibilities of project and programme managers, and now change manager is becoming a common hire, but with little agreement amongst organisations about what this role really involves. If you are thinking of a career move, or you are building a new team, let Melanie explain what is happening in the market. She will give an overview of the ‘official’ description of a Change Manager – after all, she is the Co-Chair of the Change Management Institute UK. Melanie will explain how these responsibilities are being interpreted by organisations, and where the overlaps are with project and programme managers. Use the information she provides to plan your future career direction and take on some of her hints and tips to update your CV. This is a full PRINCE2 Overview in 40 minutes. Whether you are new to PRINCE2 or looking to re-register your Practitioner certificate, this presentation is ideal. The session will be very fast paced as there is a lot to get through! WARNING: We advise all attendees to grab a strong coffee or a hi-energy drink before entering. There is no time for pondering! We have 340 pages containing 7 processes, 7 themes and 7 principles to cover. There’s a 40 minute deadline to meet! Plus you need to leave this presentation with an amazing amount of PRINCE2 knowledge! Let’s go! Paul is Managing Director of SPOCE – the World’s first PRINCE2 accredited training organisation. Paul has been a PRINCE2 approved trainer for over 15 years, and has worked with hundreds of organisations in developing and implementing best practice project and programme management. Paul is also the Chairman and co-founder of ASPECT, which is the association for promoting excellence in consultancy and training. Over 30 accredited training organisations commit to a charter to provide the very best standards in the delivery of their services. Full details of this are available on www.accredited.org.uk. Initiatives such as this are really only achievable by Paul’s reputation and relationships with clients, partners and competitors alike. You understand the benefits of working in an agile way because SCRUM is now common working practice for your product development, but it’s time for your agile initiatives to scale up to the next level, achieve the recognition they deserve and gain credibility at the most senior levels in the business. In short you need to scale your familiar agile ways of working, to become a comprehensive agile project management approach. Agile PM, based on the proven DSDM method, takes agile product development approaches such as SCRUM and builds on them to create a really practical agile method for running complete projects. Agile PM merges the best aspects of SCRUM with the governance and control expected by senior management. The combination provides a powerful, credible and adaptable method that has been proven over many years and many thousands of projects. The Agile PM qualification is a way to demonstrate your understanding of the method and seeks to become the de-facto qualification for agile project managers. Come along to find out about the Agile PM qualification to see how it can add value to individuals and organisations wanting to get more out of agile. Antony Perrett is a senior management professional with 15 years IT Director-level programme/project management experience and has worked with a broad number of industries ranging from Manufacturing, Business Services, Financial Services, Insurance, Oil/gas, Lottery, Publishing, Utilities to Central Government. His roles have included Managing Director, Operations Director, IT Governance, Programme Manager, Project Manager, Business Training and coaching, Quality Assurance and IT Strategy. In addition to his consultancy work, Antony is a qualified PRINCE2, PRINCE2 Agile and Agile Project Management qualified Instructor and delivers training for Learning Tree International. Antony has worked with business leaders to the highest level in large PLCs and run multi-million pound budgets. His extensive experience of managing complex, multi-team projects involving customers, suppliers and off-shore development, enables him to bring pragmatic and practical experience into the classroom. However skilled Project Managers and Planners may be, if they are operating in a culture that lacks a consistent and disciplined approach to project delivery then they face an uphill battle to deliver programmes and projects successfully. World leading EPPM tools are a waste if the Project Controls professionals that are using them are unable to fully exploit the capabilities that these tools can offer. Effective Project Controls demands a holistic approach that harmonises people, processes and products. In this session, Peter Gable will add his own personal insight into how effective project controls turned an IT Project from “Zero to Hero” and share with you real world examples of how this was successfully achieved. An Oracle Primavera Certified Specialist and director of RPCuk, Peter has successfully project managed and delivered solutions based on the Oracle Primavera product set within the Oil and Gas, Architecture, Engineering and Construction (AEC), Transport, Public and Nuclear sectors, utilising a proven implementation methodology. In addition, he has contributed to Programme Management Office (PMO) formulation and development. RPCuk has been providing effective project controls expertise for over 20 years and helps organisations to create a holistic environment in which projects are routinely delivered successfully – on time and within budget – and expected returns on investment are fully realised. With competencies spanning generic project controls skills, solution design, development and deployment, performance reporting services, cloud infrastructure, education and application support, RPCuk offers a comprehensive portfolio of solutions to create the ideal platform to support the complete project lifecycle. This presentation focuses on the importance of effective relationship management in ensuring high levels of client satisfaction in outsourced projects. It reports some of the findings of research undertaken as part of a project funded through the APM Volunteer Research Fund 2014-2015. A framework for project outsourcing which places relationship management in a wider context and agency theory is used to explore causes of failure in outsourced projects related to relationship problems between client and supplier(s). Four cases of projects with varying levels of reported client satisfaction are discussed and some recommendations for effective relationship management are proposed. 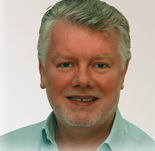 Dr David Bryde is Professor of Project Management at Liverpool John Moores University (LJMU). Prior to joining LJMU David worked as the head of the Technical Support department for Metier Management Systems, supplier of Artemis – a project management software package and as a project manager for ICI, working on a variety of computing, telecommunications, infrastructure and internal change projects. He has received funding for research projects investigating various aspects of project management from both public sector and private sector sources. He has published widely and has presented his research at numerous international conferences. He is a co-author of the recently published text: “A Practical Guide to Dealing with Difficult Stakeholders”, Gower, UK. He has a PhD in project management from LJMU and is a member of the Association of Project Management. David is interested in aspects of project management from a multi-disciplinary perspective, including the integration of management sciences, social sciences and psychology to explore contemporary issues facing the project management profession and project managers. An opportunity to find out more about the current project management marketplace for jobs and careers in the UK. This market has seen many changes over the last few years. It has become increasingly competitive, with many project professionals experiencing frustration in finding the right opportunity and successfully interviewing for roles. Lindsay Scott shares her experiences and insights into how project managers can differentiate themselves and standout in a crowded marketplace. Lindsay will provide practical guidance on how to find the right career opportunity; how to present yourself (against what organisations are looking for); the project management CV and interviews. Lindsay Scott is the co-founder and co-Director of Arras People, a project management recruitment specialist. From 2002, Arras People have worked with organisations across all industry sectors and business functions placing project professionals in contract and permanent roles. Arras People are also known for their annual project management benchmark report. Lindsay is also the founder of PMO Flashmob and The PMO Conference. She is the careers columnist for PMI’s PM Network magazine. Mind Mapping has been widely used for the past 40 years in all aspects of business and education. Traditionally used as a brainstorming tool, but more recently it’s been optimised for the project manager. Mind Mapping is an increasingly popular topic in project management because when paired with technology it will increase productivity by 25%. Specifically, it helps the project manager in the WBS process and converting the WBS into a Gantt. Mind Mapping technology has further benefits because of the strong integration with MS Office. Delivering Multiple Portfolios of Projects using Agile and Waterfall methodologies with Project Online – sound too good to be true? Organisations are facing extreme pressures to deliver efficient change across diverse business portfolios. Business Changes Initiatives, IT Project Portfolios and BAU all require tools to govern delivery and execute their objectives. Whilst each Portfolio might want their own Project delivery platform the organisation still needs some common standards and oversight. But when delivery teams need both Waterfall and Agile project management tools, how can you provide them with the different tools whilst still keeping them within a single delivery framework? In this session, Duncan Griffin explains how PS+, a simple solution for Project Online introduces the PS+ Agile framework to provide best of breed agile components which allow you to easily iterate across sprints via simple Kanban boards and track burn down via OOB reports. Governance and reporting of projects and programmes is essential to every organisation and yet so many find it a struggle with timeliness of production, accuracy of data and consistency of presentation. At PROJECT in a box we have helped many organisations to automate their reporting and in this session we will share some of the tricks and tools which will enable you to get great results with minimal cost and effort. The session will include real life examples from existing customers and tools you can take away and use yourself. John Beckford introduces the core ideas of ‘The Intelligent Organisation’ and shows how the synthesis of people, process and information delivers gains in effectiveness, reducing costs while increasing customer satisfaction and improving the bottom line. contemporary technologies. John will illustrate his talk with examples and case studies drawing on international applications of these ideas in transport, water, utilities, social care, paper manufacturing, pharmaceutical research and professional services. John manages to be academically rigorous in his thinking whilst also being provocative and entertaining. The nature of change is changing. What does it mean for us? When faced with complex change, many leaders are still trying to lead change using management tools that are no longer fit for purpose. How can we, as change coaches and project leaders, help our Leaders when there are no ‘right answers’? When the future isn’t predictable? When it’s impossible to produce controllable results? Leaders need to develop new habits. The role of Change Manager needs to shift to Change Coach. And together, we need to build change platforms, not change programmes. During this session, Michelle will share some thoughts about Management 2.0 and Change 2.0 with the audience. Be prepared to walk away with more questions, than answers! Michelle is a change maker, Leadership/OD consultant, speaker and strengths-based coach with 30 years of international experience. For the last 10 years; she has worked for Jupiter Consulting Group, a consultancy dedicated to “adding life back into work”. 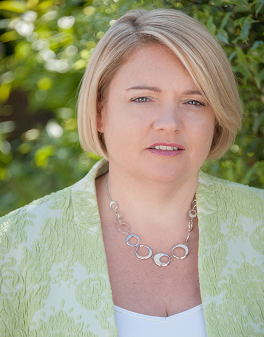 Michelle co-chairs the Change Management Institute’s South West (UK) chapter. The Change Management Institute (CMI) is a global, independent, not-for-profit organisation set up to promote and develop the profession of change management internationally. Implementing a project-based organisation is like a triathlon, with the three separate disciplines of portfolio, programme and project management, that are linked together and that need to be executed in balance and with the same level of expertise. In combination, these disciplines provide an enterprise wide process for implementing strategy that is systematic and efficient. This presentation describes this cultural and organisational approach that rewards those organisations that recognise the need for each discipline and work continuously to improve all three. Steve has over twenty years’ experience in the enterprise software sector, specialising in ERP and PPM tools. After a consulting and management career with a number of software vendors, Steve worked as an independent project manager, trainer and consultant focussed on the Project Management sector. 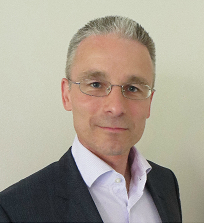 Initially a business partner of Sciforma, Steve was appointed Professional Services Director for Sciforma UK in 2014. There has never been a greater need to manage change effectively within organisations, yet it is so often seen as a ‘black-art’. But we all know that successful change doesn’t happen by accident. A key factor for achieving a fundamental, sustainable step-change is to always focus on the outcomes of the change : what will be different, how will it feel, and why is that better than today? In this talk Mike Pryor, Principal Consultant at Bestoutcome, will give real-life examples of clients who use an outcome-driven approach on their change programmes. He will explain how this helps them manage variances, ambiguity and turbulence and ensure that the end-goals of the change programme are achieved and successfully embedded in the organisation. We all know that implementing a standardised PPM tool makes sense, but how to justify it? Aimed at Business leaders, Line Managers and PMO Managers, this session will provide you with the information you need to build your business case successfully, focusing on the benefits, outcomes and ROI. Duncan’s latest eBook will also be available as a free takeaway to assist your step by step approach to aid your business case for investment. Ethnographic research – “Designed for Humans”, the future of PPM Applications? There has been an Industry shift for the core PPM Persona – the project Manager. The need to leverage project & program management to orchestrate the rate & pace of bringing new products & services to market has effected a change in who project managers primarily are. Chris Reeves will discuss how CA Technologies has used Ethnographic research in their bid to transform the User Experience for 70% of project managers. Using a “Design for Humans” approach CA have conducted a study of people doing their jobs in their work environment (using sticky notes, to do lists, etc.) not interacting with software. The aim of this research was to focus on the Persona and provide solutions for a person, not features for a release and to answer the question what is the job you “hired” the software to do? Chris has 30 years of experience in the IT industry, working in various disciplines including Development, Consulting, Management and Presales. Predominantly working in the enterprise software sector, he has specialised in PPM for more than 15 years, helping companies realise the benefits of enterprise PPM solutions. Eileen Roden is the author of Portfolio, Programmes and Project Offices (P3O) and the UK’s leading authority and trainer in PMO. Lindsay Scott is the founder of PMO Flashmob and The PMO Conference. Both Eileen and Lindsay have had successful careers as PMO practitioners and now focus on supporting PMO practitioners in the field. In this presentation we will look at how we took the DSDM Agile Project Framework and modified it for use in a fast moving digital agency. This presentation initially explores, at a high level of abstraction, the DSDM Agile Project Framework – since this is the framework that forms the stepping-stone to the Deeson Agile Framework. The presentation then goes on to explore the Deeson Agile Framework that incorporates iterative and incremental delivery of benefits, just-in-time planning and frequent review. In addition, its governance model ensures the client vision will be captured, whilst empowering teams to work without undue interference. Vic is an independent consultant with a wide experience of delivering Information Systems projects within traditional and Agile development environments. He also has considerable experience in the development, implementation, assessment and validation of foundation, undergraduate and postgraduate programmes in the Computer Science and Software Engineering disciplines. In his early years, Vic worked for BT as a Project Manager and Programme Manager for both traditional and Agile projects based in the UK, USA and Europe. Vic is the Training and Accreditation Director at the Agile Business Consortium and the Chief Examiner for Agile Project Management at APMG. Andrew Larking – Creative Director, Deeson. Andrew is an award winning Creative Director who has led teams at various digital agencies and strategy consultancies. His career has spanned visual effects, research, education, software development, and design. He worked for Microsoft Research as part of the team who developed multi-touch gesture recognition, was a senior lecturer and course lead for 3D Animation and Games Design at both Ravensbourne and Norwich Universities, and was an advisor to Government on foundation degrees between 2006-2010. Andrew now leads the design team at Deeson and in collaboration with Vic Page and John Ennew has designed their new Agile Framework. 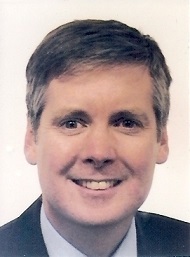 John Ennew – Director of Technology, Deeson. John is a Chartered Engineer and Director of Technology at Deeson. 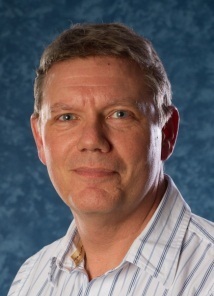 His previous roles include leading development teams at the University of Kent, and Research Machines. As a member of the IET and a committee member of the Kent branch of the IET, John is an enthusiastic advocate of continuing professional development and organises events and activities for IET members in Kent. He is interested in Primary Education and teaching children to program using tools such as Scratch, Python and the Raspberry Pi. He run’s a weekly Club introducing computer coding to Year 6 primary school children in Kent. AAT (Association for Accounting Technicians) will share with you the 5 key takeaways that have enabled them to double their Programme and Project productivity in less than 12 months and how and why they have moved from a focus on ‘change’ to a focus on learning whilst still delivering success. Simon Jones has led, shaped and delivered large-scale business transformation programmes. He has cross sector global experience including, Oil and gas, Telecoms, Entertainment and Media, Government & Public Sector, Airline and Insurance industries. His change experience has been gained through internal and consulting roles, including with PwC. 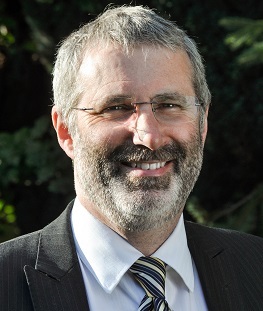 He holds Post graduate qualifications in post compulsory education, Masters in Organisational Systems (Systems Thinking) and gained an industry award for supply chain modelling for Fujitsu and has been published by the Australian and New Zealand Academy of Management on approaches to sustainability. He is a guest lecturer at Imperial College London on Change. 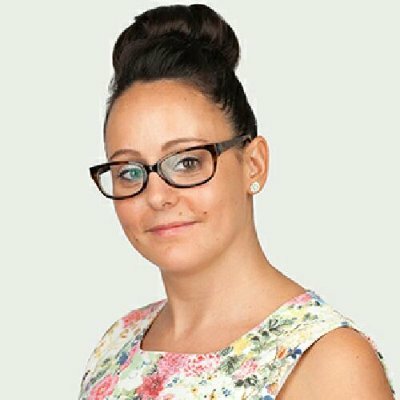 Jodene has worked for AAT for 10 years, the UK’s leading professional body offering skills-based accountancy and finance qualifications. Before working in the Programme, she held various roles focusing on qualification development for UK and international markets, regulatory compliance/audit and assurance, and assessment development. 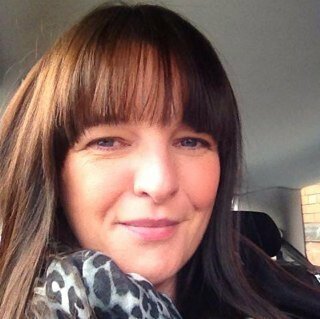 Jodene is a certified programme and project management professional (P3O, MSP and PRINCE2) and APM Associate member with 6 years’ experience of successfully delivering complex projects. Since 2016, she has been the PMO Manager responsible for on-going programme delivery and improving performance through the operationalisation of methods, tools and best practice. Rebecca started working in the PPM industry 12 years ago when she joined Sciforma in their French office and has since moved back to the UK to setup and manage their UK operations. She has worked with pan-European companies of varying sizes and industries to ensure successful implementations of the Sciforma PPM software. PPM tools: What are you missing? All Project Management tools allow you to plan your projects, produce pretty Gantt charts and track progress but simply planning individual projects and progress is not enough to deliver real control of your portfolio. What are your resources doing? Can your resources deliver your portfolio? How much is the portfolio costing? Are you delivering the benefits you promised? Is there an ROI? These are all important questions that most PMO’s and executive teams want, or should want answered. However, many organisations are unable to supply answers due to a lack of tools or in some cases simply because the existing tools are just too cumbersome to use. This presentation will highlight the top three functional areas that are most often demanded and show you how Microsoft Project Online with PS+ will deliver exactly this information; easily, immediately and with a user friendly set of tools. Agile has made great strides; it’s here to stay, but there remain difficulties. Where is it applicable? What about the risks? The agile evangelists are impatient. The traditionalists are advising caution. The debate can become a battleground. Away from IT (in Operations, Finance, HR for instance), it’s difficult to know how to engage with it. However for Agile really to deliver, everybody must find a way. This presentation will tackle the broader challenges of Agility, and how to bring your organisation with you. At this session, we won’t just talk about Agility, you will watch it happen, in a scenario played out by professional actors, with audience interaction from where you sit. There will be debate, laughter, and serious learning. No one will be bored, we promise. 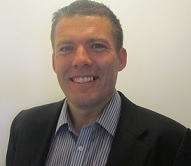 Andy is the founder and managing director of People Deliver Projects. Before this, his proper jobs included Project Manager, Factory and General Manager in British Aerospace. He has spent all his working life in projects and change, and outside work his projects are on rock, sea and snow. Andy’s zeal is for getting projects back to being foremost about people delivering together and the leadership which makes that possible. Process, by contrast, he believes should be simple and just enough to help people to get the job done. His creative and engaging team have helped 100 organisations to achieve success by learning to lead and deliver projects and change. Change only happens if all those affected commit to changing how they work. To support everyone affected, any organisational change needs a large network of local managers, supervisors and staff to support colleagues as they make changes to their ways of working. This group do not need to be trained as professional change practitioners, but they do need to know some key elements of change management. In this presentation, Melanie will explain the 4 most important knowledge areas: Understanding resistance to change; Assessing impact; Planning transition; Assessing readiness. Change – it isn’t a soft science! Change shouldn’t be chaotic it should be based on good data and the integration of many parts of the project including the communication plan and the training intervention. Explosive Learning Solutions have been involved in a number of change initiatives where the link behind data, the communication plan and the training programme have been critical to the success of the initiative. This talk will explore some of the ways these links have been fused together and link them back to theory such as Cath’s favourite Kotter “The Penguin Man”. Project Methodologies do not get changes delivered, people do. Change leaders don’t achieve it in cascade briefings, they do it on the ground, in real conversations with their stakeholders. encounter with your stakeholders. We will work on how successful change leaders identify and deal with it. There will be debate, laughter, and serious learning. No one will be bored, we promise. solutions, Project Online is, in most cases, the obvious choice. Sometimes those close to the solution or behind the business requirements understand the benefits of Project Online, yet they find proving the benefits to other stakeholders who are further removed from the solution challenging. This presentation is intended to help show how you can prove the ROI of your PPM deployment. Since agile’s inception in 2001, it has radically changed how the IT industry has developed software. There has been lots of hype around both its success and failure but like any story there are usually underlying factors that dictate the outcome. When implemented properly as a methodology the underlying constructs that agile is based upon have been proven as a viable process across sectors. This presentation will reveal some surprising insights. Colin Farrelly has over 15 years’ experience in the software industry. He is a seasoned software developer and technical architect, having led teams across multiple business sectors and technology stacks. 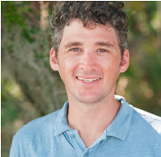 Colin is a certified scrum master and has received multiple accolades and certifications throughout his career as both an advocate and implementer of agile methodologies and process improvement within companies around the world. Resource management consistently comes up as the number one biggest challenge for the PMO, in this session Eileen and Lindsay explore why resource management is difficult for the PMO and share insights into how the PMO can tackle it. The session covers research from the PMO Flashmob and real world examples of how PMOs are approaching this challenge. It’s not about the tools and software – this session focuses on the skills, capabilities, culture, processes and psychology – and introduces the Resource Management Circle concept. If you’re working in a PMO today and resource management is on your too hard pile – come along to the session and find out how to get it off. Is your PMO recognised as value adding, or an overhead? Constantly trying to justify your PMO existence? During this session leading PMO expert and Chair of the APM PMO SIG, Emma-Ruth Arnaz-Pemberton, will talk about the benefits of the PMO and the importance of selling it as a professional service provider within your organisation. Emma-Ruth will talk about some of the tactics used by PMOs to successfully embed themselves as a value adding business partner and share practical tips & techniques you can immediately employ. As Chair of APM PMO SIG Emma-Ruth is seeking to steer the PMO discipline from a traditionally administrative function to a fully embedded strategic business partner through its professionalisation both internally and externally; and curating events that inform and support this view. Enabling ‘PMO people’ to keep up with the exponential pace of business-related change. In our micro second culture of twitter and whats-app it can be difficult to get stakeholders to care. Stephen Brown, will discuss the role between project information and the stakeholder; how to get stakeholders engaged and why it’s inherently difficult to achieve this. In an information rich world what techniques can be deployed and what formats are effective in winning the struggle to win people’s time and attention and change their behaviour. An increasing number of companies are coming up against challenges as they move Agile practices from the team to the Program/Enterprise level. Based on the early feedback of some of Planisware’s customers, Nicolas will discuss the adoption of a Scaled Agile approach; what challenges companies should expect, and the rewards that can be won. He will also cover the various benefits of methodologies such as SAFe, DAD, and LeSS. Nicolas has been working for Planisware for the last 15 years. One of his key roles has been to bring knowledge around emerging methodologies to Planisware customers as well as foster communication and idea exchange within the Planisware community. Today, more than 33% of the top 100 R&D spenders worldwide utilize Planisware solutions at a corporate level to manage their projects, resources, and portfolios. A global organization, Planisware offices are located in the United States, Canada, United Kingdom, Germany, France, and Japan. The AXELOS PPM Benchmark Study for 2017 identified that the number one concern for project managers today is the expectation that they must deliver more for less, as the business environment becomes more competitive and budgets and timelines become tighter. Yet, as these pressure grow, project and programme management maturity is often still lacking and the link between strategy and delivery is, at best, unclear. What can your organization do to better align project delivery with the strategic intent of the business? And how can you influence and shape this alignment? This session will explore how project managers can help guide the maturity of their organization and, in the face of growing pressures, what they can do to take the competitive edge. 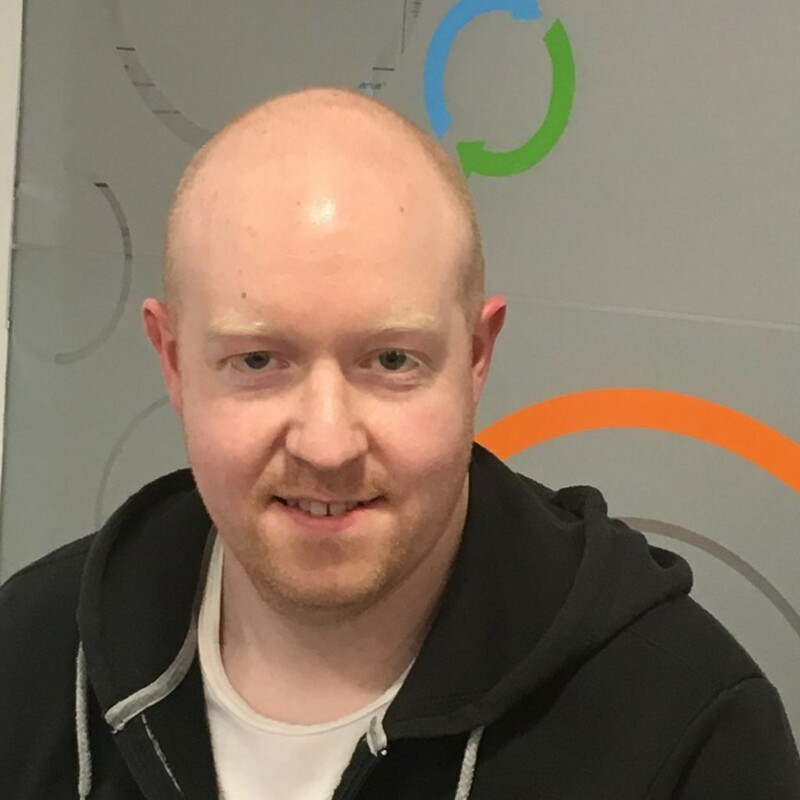 Tom is the PPM Product Manager at AXELOS, responsible for shaping and driving the commercial strategy for the PPM portfolio, including flagship products such as PRINCE2 and MSP. 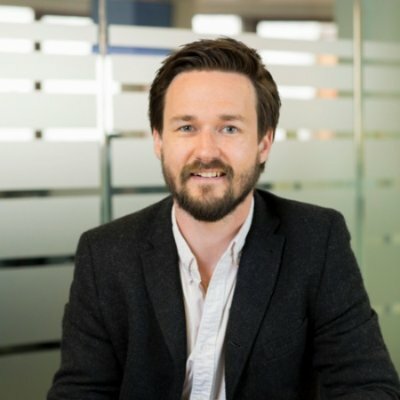 Previous to his current role he has over 7 years’ experience across a range of marketing roles both within the training and certification industry and technology space. APM has had a busy 12 months with the award of its Royal Charter, managing the consultation to set the chartered standard and publishing a revised strategy and mission. In addition, developments within the profession continue a pace with the emergence of key control functional roles and the increasing adoption of Agile as a method for project delivery. What is the role of APM in this dynamic and exciting time for the profession? John will aim to provide an update on APM’s programme of work and some insight into its role going forward. John is the current Chairman of APM, elected by the APM board in November 2016. John has significant experience in Project Management and extensive track record of successful project delivery in the defence and security sectors. John is a Director in Atkins, one of the world’s leading design, engineering and project management consultancies. He is a Fellow of the Institute of Engineering and Technology, a Fellow of the Association of Project Management, a Fellow of the Chartered Institute of Procurement and Supply and holds a BSc (Hons) in Electronic Engineering, a Masters Degree in Computing Science from Imperial College and an MBA. 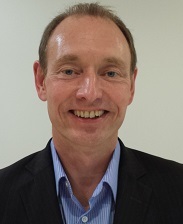 John is Head of Project Management Profession for Atkins Aerospace, Defence, Security and Technology. He lives in Abergavenny, South Wales with his wife and four (mostly grown up) sons, is a committed supporter at hockey and rugby games and an outdoor sports enthusiast. We recognise that all PMOs are different – tailored to the businesses they support. However, are there some underlying principles that should underpin any PMO? We believe there are, seven in fact. PMO Flashmob have been working closely with AIPMO to pull together empirical research, validated by practitioners to identify principles that apply to any/every type of PMO – temporary, permanent, project, programme or portfolio/ enterprise level. This presentation will take you through the seven principles, what they mean in practice – recognising the challenges to embedding them but looking at the benefits that can be achieved when they are. Copies of the PMO principles will be available to all those who attend the session or visit us at the PMO Flashmob stand. Scott Harberd is an Interim Senior Project and Programme Manager with a wide range of transformation & business change projects and programmes under his belt, including over 20 years in the travel industry. Whilst his travel experience is second to none, his experience spans both public and private sectors from FTSE 100 organisations, to managing a UK government transformation programme, showing he can successfully deliver projects no matter the industry. Scott fell into this the project and programme management field by purely being given a 6 month opportunity by a company director, and since 2006 has not looked back. In a volatile, uncertain, ambiguous and increasingly complex world, how can you even begin to understand what needs changing in an organisation, how one might go about accomplishing it and improve capability? This calls for a complete new way of thinking and working for the change initiatives to be successful. An alternative approach is to use Serious Games and Play techniques. But seriously …. are these not only meant for children’s fun and enjoyment? Serious Games and Play techniques combine visual, auditory, and kinaesthetic styles; systems; design thinking, psychology and neuroscience which have proven to deliver results. In this session, Richard and Parag will share client case studies on some of their applications and how they have enabled organisations to deliver better outcomes and benefits on change portfolio, programme and projects. Participants will also be able to book taster games and play session for their organisation and teams at the Ambition Group’s stand. Richard is an award winning, proven leader in helping organisations implement and improve their portfolio, programme and project practices. He has been involved as a managing consultant for many large programmes and projects across infrastructure, construction, transportation, financial services and public services sectors. Based in Netherlands, he works with organisations across the world. He is most acclaimed for his contribution to the Maasvlakte 2 project – a € 2.9 billion project; fourth largest land reclamation worldwide which resulted in development of 1000 hectares of new harbour area in the Port of Rotterdam. Richard introduced new portfolio, programme and project management practices making the Maasvlakte 2 the first project in the world to achieve P3M3® maturity level 5. Richard is the CEO & Founder of the Ambition Group and Creative Director of Ambition Games. He is the creative force behind development of innovative management games in the subject areas of risk, programme, portfolio and project management. Parag is an experienced and proven senior leader passionate about helping organisations, teams and individuals improve their change capability and agility. He has been involved with multitude of business transformation programmes and projects in multi-national, complex and fast changing business environments. Parag has also developed and implemented strategic business and operations plans along with enterprise risk management frameworks. He has extensive experience in design, development and delivery of training programmes to improve change programme and project capability. Parag is the Managing Consultant & Director of Ambition Group. He is a committee member of APM’s Midland Branch and Enabling Change Specific Interest Group where he leads Innovation & Collaboration. He is also member of Agile Business Consortium’s Culture & Leadership group working group. What are your worth? And how can you earn more? Wellingtone are the UKs leading specialist project management recruitment company and sponsors of the APM Salary & Market Trends Survey 2017; by far the largest of its kind in the UK. Vince Hines will lift the lid on salary data both for permanent and contract roles. How much should you be earning, which roles earn most and what could you earn as a contractor? What qualifications are employers looking for and what does Vince recommend? These questions and many more will be answered in this entertaining and informative presentation. 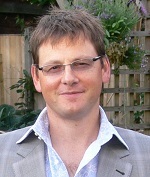 Vince Hines is the Managing Director of Wellingtone Project Management; the consulting, training and recruitment company. He is an expert Project Management Consultant with considerable experience working in the US and Europe as well as at home in the UK. Vince focuses on providing practical guidance to organisations looking to develop their project management maturity though improved governance, methodology, PMO and as an Accredited APM Trainer, qualifications. Vince also helps organisations plot their course to successfully deploy best in class Microsoft PPM solutions including Project Online. Vince is a regular speaker at APM & project management industry events and writes the Careers Column for Project Magazine, the quarterly APM publication. Agile is becoming more and more popular, and the basic concepts of Agile are quite simple to understand. But when adopting Agile into an organisation, it is also important to understand what options are available; it is never a case of “one size fits all” and there are dozens of Agile approaches to choose from. Agile in a complex technical product-based organisation will be different to Agile to support comprehensive change programmes, which may be less about IT and more about business change. Why choose one approach when the optimum approach is to blend several Agile approaches to address complex needs? This presentation provides some basic unbiased information about the pros and cons of the most popular Agile approaches, and provides some real-life examples of the impact of making the wrong choices. Having this basic information will help decision-makers ask the right questions to ensure they get an Agile solution that meets the needs of their organisation. Barbara Roberts has been actively involved with Agile for years (long before Agile was called Agile! ), and has led many successful Agile transformations in large complex corporate organisations, in all business sectors, and often working within highly regulated environments. 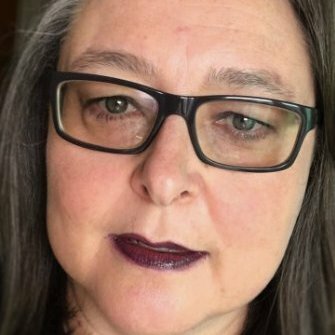 Barbara has been the Agile Business Consortium Director for Professional Development for many years, and is also a signatory of the Agnostic Agile oath. She is well-known for her common sense practical approach to Agile. Project methodologies do not get projects delivered, people do. In fact, we would go further; it is the quality of relationships with stakeholders and within teams that makes the real difference. High performing relationships – the ones that lead to results – are always formed in conversations; conversations which go beyond the familiarity of tasks and the milestones – To where? At this session, we won’t just talk about conversations, you will watch them happen, in a scenario played out by professional actors, with audience interaction from where you sit. There will be debate, laughter, and serious learning. No one will be bored, we promise. We will debate HOW stakeholder conversations can forge more powerful relationships. And we will blow myths on team performance, making a case for building mutual commitment, accountability and trust at the heart of your project culture. People Deliver Projects are exhibiting on Stand 28 – There will be handouts, free coaching and experiential activities on the stand. If you feel like you need to optimise your WBS process and are looking for ways to communicate the project plan more successfully…this is the session for you. All day long each one of us is making choices and decisions. These choices and decisions build up to heavily impact the outcome of our projects. How much of that decision is influenced by the information we have, and how much by the way it’s presented? Stephen Brown, will discuss the role between human decision-making behaviour and project information; how to leverage human bias in your favour to achieve better project outcomes. Stephen Brown is co-Founder and Director of Innovation at Polarisoft. For the last 20 years, he has been addressing the needs of businesses to consume and manage ever increasing volumes of data and information. Advising some of the world’s largest companies on IT Strategy, Stephen has shown how to create a significant return on investment on limited budget by implementing technology in very specific ways. His passion for technology and simplicity has helped Polarisoft build solutions that not only deliver, but are intuitive and simple to use. The General Data Protection Regulation (GDPR) is just around the corner – how ready is your organisation in meeting the timeline? To establish your programme, you will need a cross functional data governance team that includes everyone responsible for GDPR compliance across your organisation. At the highest level, this includes Legal, Data Privacy, Compliance, Marketing, IT Security and Risk Management, Enterprise Architecture, and often the enterprise programme management office (EPMO). Join this session which will focus on the common business questions being asked by these different stakeholders in responding to GDPR. Time to get prepared with a data-driven, sustainable approach with Planview. 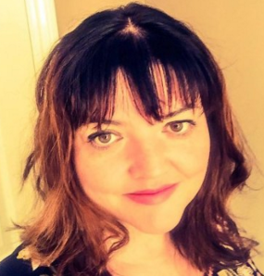 Nicola McCoy has over 20 years’ experience working within information security, enterprise architecture, global technology and enterprise software roles. She has deep experience in helping organisations to understand operational resilience, information security and how to manage risk within a connected enterprise, while communicating their current risk posture to senior (C-level) stakeholders. Nicola works with many of our customers to implement solutions that support recording, reporting and analyzing risk across the enterprise. If change management is to be taken seriously as a management discipline, it must justify itself. Those of us in the profession must get better at explaining both what we do and the value of what we do. In this session, Melanie will provide lots of ideas for how we might better explain the value of what Change Managers do and ask the audience to participate in generating ideas of their own. In today’s environment with more techniques and tools available than ever before why is seeing the big picture still so more complex ? Whether projects are Agile or Waterfall the common theme is the need to manage a finite resource supply with what seems like and unlimited demand on the resources. Whether you are managing IT, Engineering, HR or other resources we will tackle techniques and best practices from around the globe and case studies including PepsiCo, Reserve Bank of Australia, Qualcomm, and others. The P3M community is often involved in delivering capabilities that are designed to improve the performance of the business, they very rarely look at their own business change and the need to keep pace or stay ahead of the curve. In this session, we will look at lessons from our work delivering over 150 maturity assessments and a range of assurance reviews which provide us with insight into the characteristics that differentiate the winners from the also rans. We will draw on real life examples and reflect on the value of well established and proven concepts like Kottler and the Bereavement Curve to understand how they can help improve performance. 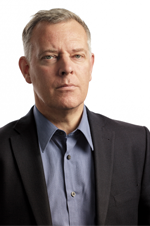 Rod Sowden is the managing director of Aspire Europe and is an experienced programme management registered consultant with a number of successful consulting and delivery assignments behind him that have left organisations with sustainable change. Rod has been a pioneer of Managing Successful Programmes (MSP®), having been involved since the launch in 1999 he was appointed lead author by the OGC for the 2007 version and 2011 refresh. He is also the Cabinet Office P3M3 lead author. Rod as subsequently written Survival Guides for the business change managers, senior responsible owners and programme managers as well as having numerous articles published in his expert field. organisations do enough to change the culture of project sponsorship and delivery in their organisation, but all would say that they welcome the opportunity to be educated. In this session Martin will outline some of the key research about the importance of the role, what makes a good sponsor, how can organisations embrace and support the role, what help and support can sponsors call on. Martin is the owner and Managing Director of 3pmxl Ltd, a consultancy that is based in the UK and specialises in implementing major transformation and helping clients to transform their business using structured 3PM approaches. 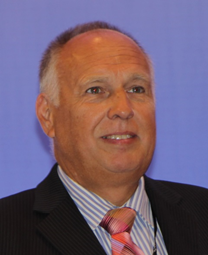 Martin is Chairman of the UK based Association for Project Management (APM) Specific Interest Group (SIG) on Governance. The Governance SIG has developed guidelines for Governance of Project Management, including ‘Directing Change’, ‘Governance of Multi-owned Projects’, ‘Sponsoring Change’ (currently being updated) and ‘Directing Agile Change’. He authored chapter 19 on Governance in the 2nd Edition of the Gower Programme Management Handbook (2016). He has over 30 years management consulting, change, project, programme and portfolio implementation experience in both the private and public sectors – in the UK and internationally. He is an authority on governance and sponsorship and has directed and contributed to a number of complex business and organisational change programmes to fundamentally reshape and improve business performance. He has also led a number of assignments to improve an organisation’s capability to better sponsor and manage portfolios, projects and programmes. Martin is a mechanical engineer by training and started his career in major capital project contracting in the petrochemical sector with Foster Wheeler. He moved into consulting with The Nichols Group and thence to Impact Plus and Hitachi Consulting, helping organisations to implement organisational change in a more structured project and programme oriented way. He started 3pmxl in 2011. Client organisations he has worked with in recent years have included: Atkins, Arcus Partnership, Capita, Devon and Cornwall Constabulary, DNV-GL, eni, Metropolitan Police Service, Northumbrian Water, NHS, Practicus, Proger S.p.a., Saipem, Thales, Thames Valley Police, Thames Water, Typhoon Consulting, Turner and Townsend, Valldata. Many PMOs now need to support Agile projects as well as traditional waterfall projects, moving to be a hybrid or bimodal PMO. PMO Flashmob launch the latest Inside PMO report, “Agile PMO – What’s New and What’s Not” bringing insights from PMO Managers working in hybrid PMOs today. The report looks at the functions and services required and answers the questions – what stays the same, what needs to change and what is new. Many of the skills you have are still required, but some will need further honing or developed from scratch. This session will talk about how the services of the PMO change when supporting Agile projects and what associated skills you will need to have to do that successfully. Eileen Roden is an experienced PMO practitioner, trainer and consultant and lead author of Best Management Practice for Portfolio, Programmes and Project Offices (P3O) and AIPMO’s PMO Principles. Working alongside Lindsay, Eileen is a Director of PMO Learning and accomplice at PMO Flashmob. 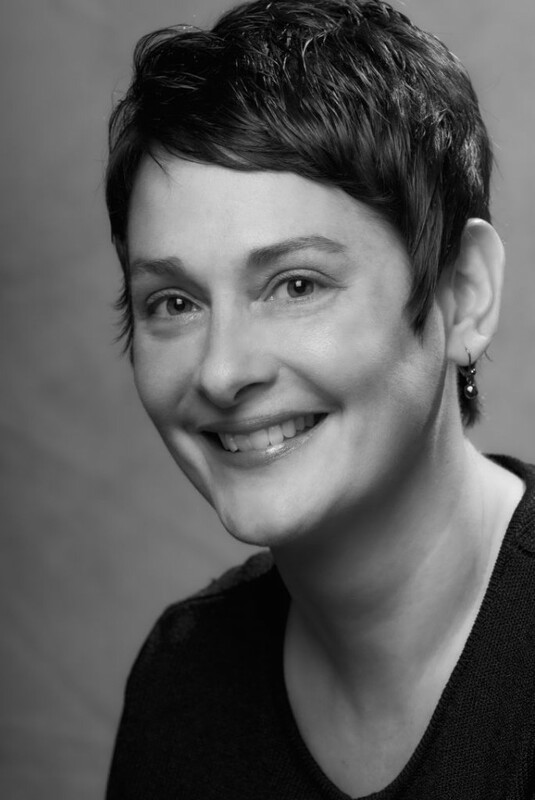 Lindsay Scott is the founder of PMO Flashmob, The PMO Conference and is a Director of PMO Learning. Lindsay’s previous career includes Director of Arras People, the UK’s project management recruitment specialists and was previously a PMO Manager for Hewlett-Packard in the UK. Because the pace of change is always increasing, the expression ‘Agile’ is universally used yet moving towards agility in practice is challenging to achieve and, as a result, many organisations are not yet getting the full benefits associated with the various agile ways of working. This presentation will explore a range of Agile approaches and techniques that businesses as a whole could adopt to improve project execution performance. If you are concerned about your use of Agile or excited about how Agile could improve your business performance, please join the seminar. Chris will provide insight and practical suggestions based on wide ranging experience of applying agile in different organisations. 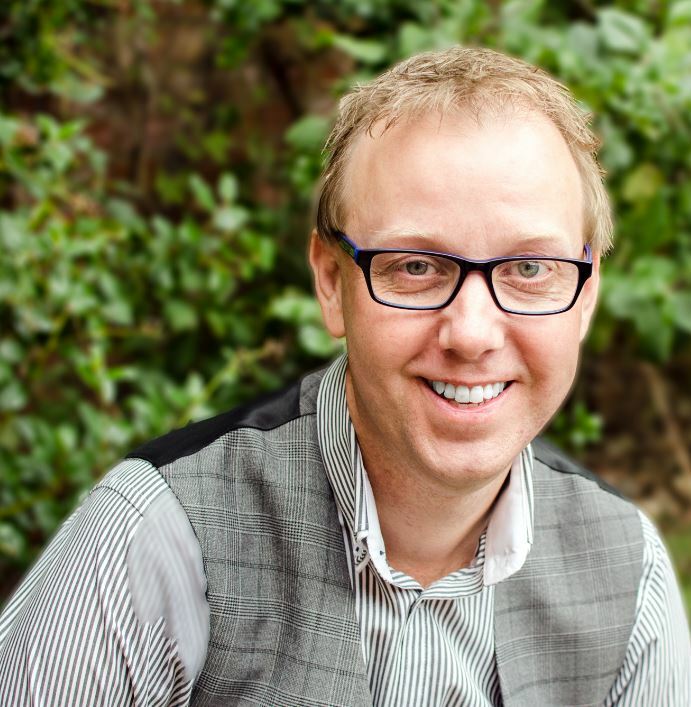 Chris is a co-founder and Director of Novare Consulting, which for the last 15 years has specialised in providing project and programme management training and consultancy services to clients. Novare Consulting are accredited to deliver all of the main PPM qualifications and have an unrivalled service in providing bespoke training solutions which integrate with an organisation’s approaches and culture. Chris directs the consultancy practice in the organisation which has delivered many major programmes for a variety of clients through a strong team of capable consultants. We are also an AXELOS Accredited Consultancy Partner able to deliver P3M3 Assessments and advise on embedding PPM methods. 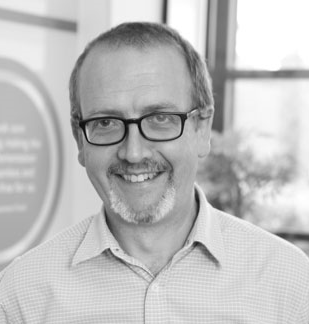 With over 30 years’ experience since becoming an accidental Project Manager, Chris has delivered projects and programmes as well as helping improve the PPM capabilities of clients including Siemens, Cobham, Meggitt, OFCOM and many more besides. 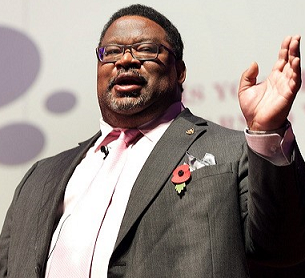 He has spoken at over 30 conferences on PPM topics and has over 15 qualifications in accredited PPM topics – all of which he will draw on to deliver a thought provoking presentation. How do we support others to make good decisions? Adaptive decision-making allows us to consider and weigh-up multiple possibilities, however choosing the correct possibility from this plethora of options leads to us being overburdened with information and data and forces us ultimately in to making decisions based on emotion rather than fact based intelligence. Stephen Brown, will discuss the hypothesis that a good decision now is better than a perfect decision next week, and how simpler, clearer and more visual presentation of information can lead to more successful project and business outcomes. All too often, we see companies chase growth at the expense of profit—especially in the services industry. As they grow, more and more of their information ends up in silos, causing difficulty forecasting revenue, uncertainty in resource planning against demand, and a lack of real-time visibility against project profitability. For this reason, businesses must start properly utilizing Key Performance Indicators, or KPIs, in order to gain insight from their data. David Keane, Mavenlink Director of EMEA Sales, will cover five of the most important KPIs for project-based businesses, including project margin and total availability of resources. Once properly utilized, these metrics help services firms maximize efficiency and effectiveness. Agile is becoming an ever increasingly popular approach to working. Rightly or wrongly, it is now associated with nearly every part of business life, from projects through to hot desking. But what really is it? And how can project professionals leverage agile ways of working for their benefit? This session will explore when, where and how to blend project management with agile approaches, to help project professionals leverage the benefits of agile. This will not be a walk thru of basic EVM practices for formulas; rather it’s an attempt to address the underlying reasons for poor project performance and the need to adhere to EVM as a Gold Standard. The focus will be on providing a practical point by point Critique on current challenges and how to address these with EVM best practice. MoP, MSP, PRINCE2, PMP, PMQ, P3O, MoV, M_o_R, ACP, AgilePM. What do these mean? I understand PRINCE2 is a project management framework, MoP stands for Management of Portfolios, and MSP is Managing Successful Programmes, or MS Project, or even Movie Star Planet (according to my daughter’s IPad). If I want to develop as a project manager, should I look at MSP or MoP, or look to another body such as APM or PMI? I’m now starting to feel shaken and stirred! With a plethora of project management certifications available, this presentation aims to explain some of these approaches, and how they interface with each other. It’s hotting up on the project front…somebody get me some ice! Effective tactical and strategic resource planning accounts for all project and production support activities along the way. We will review critical success factors that can ease your journey toward the promised benefits of proficient resource capacity planning. Recently presented at the Gartner PPM event in London and Washington DC. Whether you are using excel or a PPM tool and having difficulty doing resource planning, we will present best practices and case studies from Siemens, PepsiCo, Royal Bank of Canada and other global companies. This presentation is for project and programme managers who want to understand the impact of Agile approaches on the users they support, and for all those responsible for leading and managing change initiatives, for whom Agile techniques can be a useful way of implementing change quickly and effectively. Agile methods drive a stream of continuous change into the business. Some organisations are struggling to manage this volume of change. As a result, Agile delivery teams and change professionals must collaborate. Change Managers have to change their approach to leading behavioural change, and Agile teams need to expand their backlogs to include user stories that support change activities by the business. In this presentation Melanie will share the latest examples of how these two worlds are coming together to deliver Agile Change, using situations from her clients around the world to illustrate points. Want to know how Change Management delivered in an agile way boosts your organisational effectiveness? Join Alan’s session on how organisations can really change when they deliver Change Management in an Agile way. It’s a powerful session with takeaways galore. You’ll be inspired to implement these golden nuggets for success within your company. Alan Ferguson – Senior Facilitator at IIL Europe – is a project management professional, trainer and consultant with 40 years of experience. He has hands-on knowledge of managing governmental, IT and engineering fields in various industries. He is an experienced trainer, consultant and coach, in a variety of areas of Project, Program and Portfolio Management. The volume of change keeps increasing, so the challenge is how to successfully implement multiple changes whilst still maintaining business as usual? One of the biggest talking points in change management is ensuring a sensible balance at a time when organisations have far more ideas for change than they have resources to implement them. In this presentation, Melanie will share ideas for defining the questions to ask to discover all of the initiatives likely to impact an area of the business. She will identify the key questions to ask to assess the impact on current business operations and the level of risk to maintaining services to existing customers and set out ideas for how to tackle change overload including what actions to take and who to involve. Is your organisation filled with great people? Does your organisation still struggle to evolve? This challenge impacts all of our project and portfolio improvement activities. Is that challenge hard to solve because of the organisation, basic human behaviour, or the technology? Stephen Brown will discuss the relationship between human change behaviour and deploying an automated digital project approach; how to leverage information psychology and human behaviour to make an easy and effective transition to a fully automated digital project environment, no matter the size or complexity of your organisation. Following the decision to establish a Programme Management Office in an organisation there are five phases that need to be gone through to establish, position and resource the PMO so that the PMO adds real value to the Organisation. This presentation will look at how you first choose the operating model that you want, and then how you might position the PMO in your governance structure. A real life example is then given on how a PMO can support the governance structure of an organisation implementing a large transformational programme. Following this, the presentation will discuss resourcing the PMO and bringing in the correct IT solution for the PMO. PMO’s and project tools can simplify ways of working, support governance, provide insights and facilitate reporting across your portfolio. To obtain funding you’ll need to build a solid business case. CPS has years of experience helping customers justify the reasons and costs, on an outcomes basis. In this session CPS’ Consultants will outline the why and highlight the areas to concentrate on to obtain that all important board sign-off. With more than 18 years’ experience in designing, deploying and managing successful PPM solutions Duncan brings a level of expertise that few in the industry can match. Most organisations simply don’t have enough skilled people to accomplish all the work they want to do in the time in which they wish to accomplish it. This is true in every area of business, but it’s particularly true when it comes to balancing the competing priorities of running the business and transforming the business. Historically, this has been treated by most organisations as nothing more than a persistent annoying problem that they have always managed to live with, but digital business is changing the operating tolerances allowed to any successful business. We will be showing you how to accomplish this goal in 3 Steps. Greg Bailey was the Founder and Former CEO of Microsoft’s 2012 Worldwide Project and Portfolio Management Partner of the Year until selling the company in January of 2013. He also ran the resource Planning Division at eLabor until the product Enterprise Project was sold to Microsoft and became Microsoft Project Server 2002. His energy, experience, passion and vision, has made Greg a frequent guest speaker at hundreds of project management events. Over the last few years, the basic organising concept for work—the project—has changed significantly. Once a well-defined set of tasks, people, and milestones, today’s projects take on many shapes and sizes. Microsoft will discuss the new features of Project Online including Home and Roadmap and how the tool is evolving to meet the evolving demands of a PMO.